Part 2 of the “you can’t keep us down…” is the Clipse. This track got a lot of airplay around here when it came out. Pharrell on the beat and the hook, definitely some of his nicest work in a long time. 2 chords on the synth and some atmosphere, and you’re almost there. The best part though is the little drum snap on the lead in, it kinda sounds like a filtered cowbell. That, with the seen-it-all pimp voiceover….Willie Hutch would be proud. 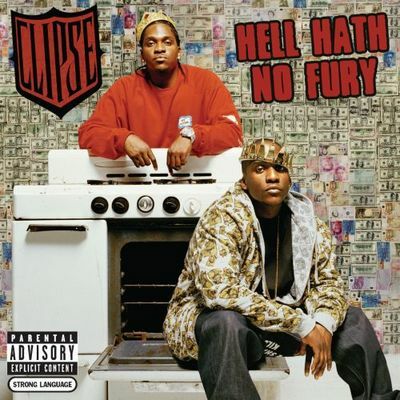 From Hell Hath No Fury, released through Arista Records, 2006.